When it comes to the desktop world, one standard is king: x86. For those that don’t know, that’s what they call the processor architecture used by Intel and AMD for their chips. These days, that’s about the only standard out there for PCs. When it comes to mobile, on the other hand, ARM is king. Sure, there are other players like MIPS and x86- but they don’t really stand a chance. Or do they? Intel seems to think they have a future in mobile, and continues to preach about how its Atom medfield processors will prove to be faster than ARM and only slightly more power-hungry. Until now, we’ve seen little from Intel in the smartphone arena, at least not in the United States. This is finally changing, thanks to Motorola. 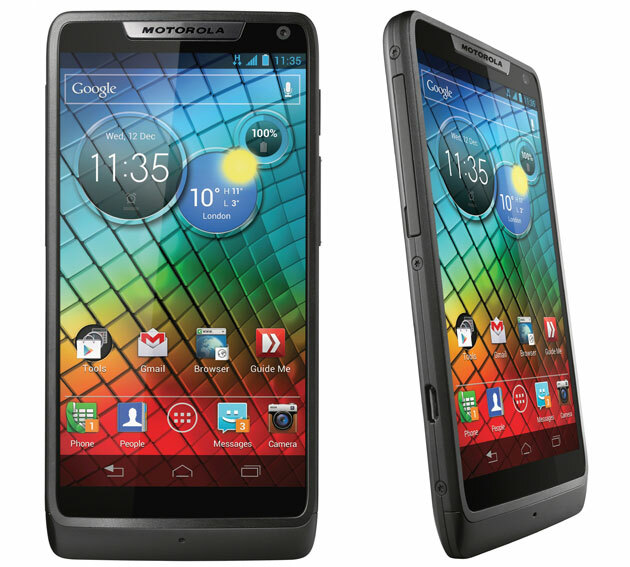 The new Motorola RAZR i has now been introduced as the company’s first Intel-based Android device. From the picture you might be thinking this looks awfully familiar, and for good reason. Essentially this is the RAZR M, but switched out the ARM processor for Intel. The Atom processor will run at 2GHz and is single-core, but Intel claims it runs just as fast as most dual-core ARM offerings out there today. The rest of the specs aren’t terribly different from the M: a 4.3-inch screen, a 960×540 AMOLED display, NFC, 8MP camera and storage options of 8, 16 or 32GB and MicroSD. The bad news is that Jelly Bean isn’t coming to the RAZR i at launch. The good news is that it is coming, just not until later. Motorola RAZR i – How Compatible is Intel with Android? Anyone who has ever used a MIPS-based Android device understands that different architectures can mean pretty serious incompatibility issues. With many cheap MIPS tablets, less than 50% of Android apps work without issue. Will Intel be plagued by the same problems? Reportedly, no. Intel has worked hard to make sure that compatibility is a priority. While Intel encourages app developers to optimize their programs for Intel, the company says that more than 90% of the existing apps on the Google Play store should work with Medfield without any noticeable issues. What do you think of the RAZR i? Would you consider an Intel-based smartphone or not?